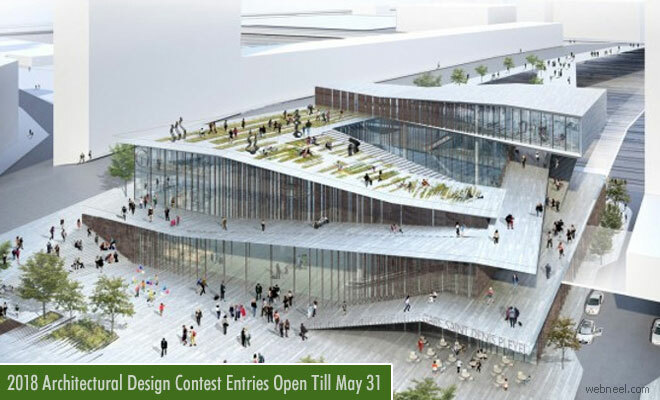 Design contest : Regenesis - An architectural design competition brings forth the best of the creative world to the architecture. Since the environment around us is constantly changing, architectural designers need to come up with innovative designs which will be safer to live and which merges the virtual reality into a physical design. The theme for the design is " How can virtual and physical systems work in tandem to solve issues related to disasters? Can these designs create a safer world in the aftermath?". The design contest is sponsored by gURROO and it's an annual event. There is a registration fee of $40 for early bird participants till March 1st 2018 and after that a standard fee of $60 till May 31st 2018. The winners will be announced on July 1st 2018. The design contest is open to all persons living worldwide or a team of upto 4 members. $1000 USD The first place project will receive a monetary prize and be published on the gURROO website for an extended period of time. $200 USD The second place project will receive a monetary prize and be published on the gURROO website for an extended period of time. $100 USD The third place project will receive a monetary prize and be published on the gURROO website for an extended period of time. Honorable Mentions – Select number of projects based on judging review.